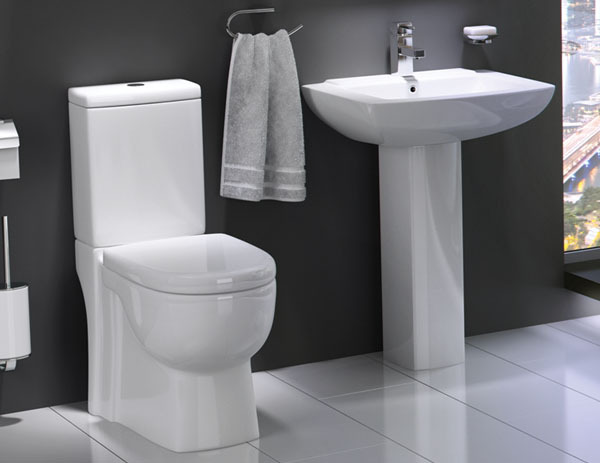 Sorea Cloakroom Toilet & Basin Suite - Only £175.99! In stock now for just £175.99 including VAT! Hurry while stocks last! One of the most stylish, eye-catching and memorable bathroom ranges on the market today, the gorgeous Sorea Cloakroom Basin & WC Suite offers swooping curves and lines you'll never forget. This Cloakroom Basin & WC Suite offers the very latest in bathroom design trends, and is one of the most popular in our range. This is thanks to its sublime blend of modern looks, high-quality construction and superb value for money. 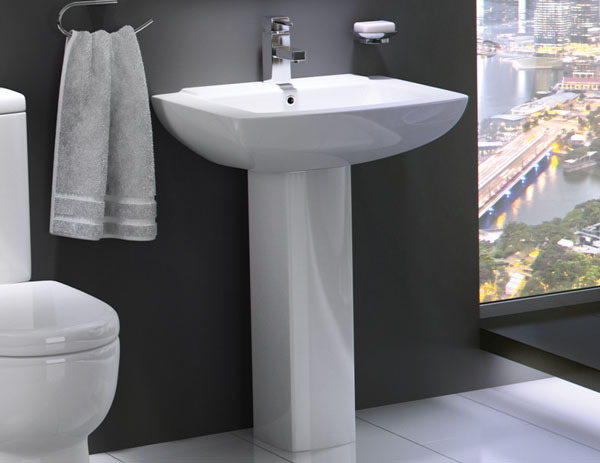 The contemporary yet functional design of the bath is matched by both the toilet and basin. Both of these wonderful features are effortlessly easy to clean, whilst their compact size means they take up minimal space within the room, without compromising on efficiency. 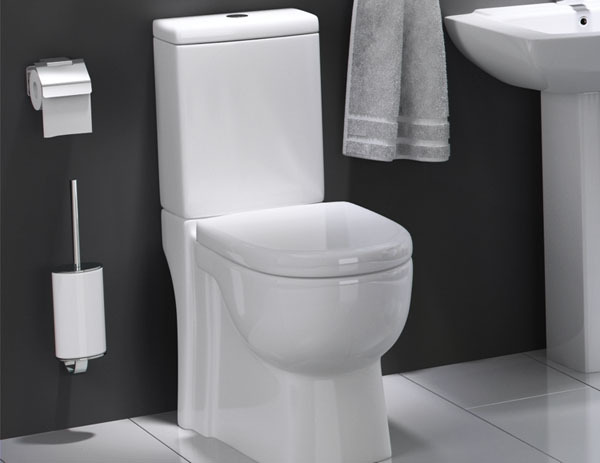 The toilet cistern comes fully fitted with a duel flush cyphon, which allows you to choose between a low-power and high-power flush - allowing you to save some extra money on your water bill and also help the environment. 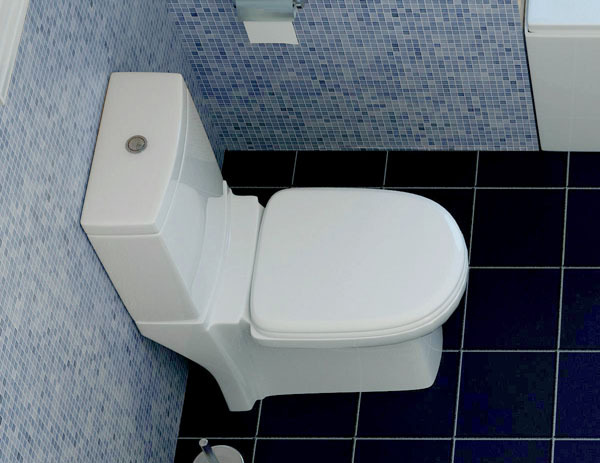 In addition, the toilet seat has been upgraded to the soft-close type at no extra cost, ensuring that it will close quietly and will be much less likely to break. 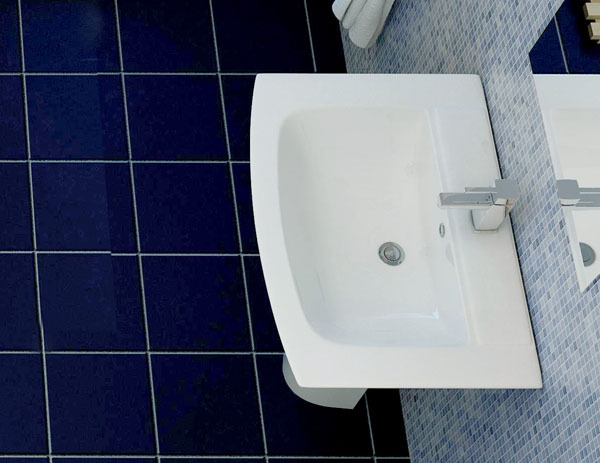 The 540mm basin provides an large and spacious bathing area, via a basin that is both compact and ergonomic. A trusted and well-known range, the Sorea has a great reputation for delivering superb build quality, stylish design and supreme value for money. This combination of features makes the Sorea bathroom range - and this basin and pedestal in particular - one of the most popular on the market today. All of this, plus the added peace of mind provided by a 5 year guarantee, makes this the ideal choice for your home. This lavish and luxurious four piece pot pack perfectly combines functional quality with the latest modern styles, at an unbelievably low price. Thanks to its intelligent compact design, this fantastic four piece WC & Basin Set is ideal for smaller bathrooms where space is at a premium. It is especially popular for installations in guest bedrooms and ensuites.